How taking direct action to expose to the public the reality of radioactive dumping rallied enough support to get it banned worldwide. Water hoses on activists to stop GP from preventing dumping nuclear waste. North Atlantic. Waste produced during the nuclear energy cycle remains hazardous for hundreds of thousands of years. Yet each year, millions of liters of radioactive waste used to be dumped into the sea—either from nuclear facilities such as reprocessing plants, or from ships at sea. For years, national governments allowed this practice—a major threat to the environment and a potential health risk to millions of citizens. 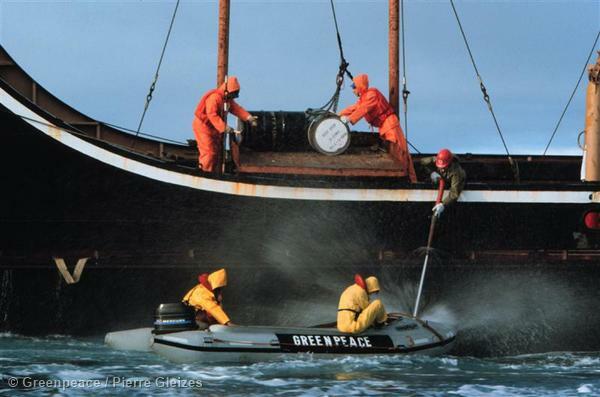 Greenpeace had been campaigning against the disposal of radioactive waste in the ocean since 1978. For years, non-violent direct action, research and advocacy were combined to get corporations and governments to change their attitude toward the ocean environment. This work reached a climax when in 1993, a Greenpeace ship documented a Russian navy vessel as it pumped liquid waste directly into the Sea of Japan. Greenpeace had repeatedly warned that Russia was using the region as a dumping ground for radioactive waste from its submarines and icebreakers—with potentially disastrous implications. Now, the world could see this problem first hand. The Greenpeace crew sent evidence to international media outlets in real time. Japanese television stations rushed to the scene and started beaming footage that was quickly picked up by outlets around the world. The media interest sparked by Greenpeace had consequences: Japan, the United States and other countries were outraged by Russia’s behavior and demanded a stop to radioactive dumping. Eventually, Russia gave in to mounting pressure. Russian president Boris Yeltsin agreed to suspend the dumping. 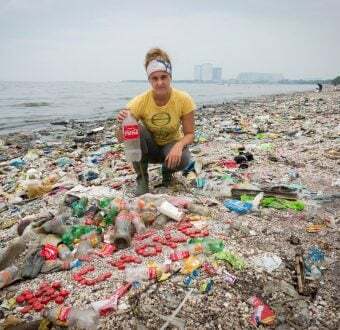 Following the Greenpeace action at sea, the evidence was so strong, the argument so clear, the outrage so visible, that countries around the world came together in agreement at the London Dumping Convention. The legally binding document—a considerable strengthening of the existing London Convention—was immediately approved by 37 countries. It banned the dumping at sea of radioactive and industrial waste worldwide. Thirty-seven countries across the globe had come together in support of healthier seas, a testament to the power of public opinion. Nations reached across the aisle in agreement that radioactive waste should not endanger humans, animals, or the environment.